You wouldn’t build a house without a blueprint yet every year I see brand extensions built without one. There are significant pitfalls to licensing and if you don’t develop a plan to address all of them you are doomed to failure. That’s why I created Breakthrough Licensing: A Disciplined Path To Profitable Brand Extensions. It’s a blueprint for brand managers to make sure the foundation of the “home” they want to build is sound and that every “room” they build adds value. Before I show you some thoughtful product line extension strategies, let’s talk about the pitfalls of brand licensing that even some of the largest brands have ignored to their peril. A manufacturer wants your business so badly they often forecast anything they think will win them your license. Obviously, you are going to be enamored with the manufacturer’s projections and leap at the opportunity to incorporate this potentially huge and successful licensing program with your brand. However, what you don’t know is that the manufacturer isn’t in any way capable of actually achieving those results. By not being able to count on the projections, you inadvertently place the brand in a volatile situation if the projections offered by manufacturers are not delivered. So what’s likely to happen? The manufacturer is not going to achieve the results; they are not going to meet their Guaranteed Minimums Sales or Royalty Commitments, and the program is going to collapse on itself. How to avoid this pitfall? It’s on Page 43 of my guide, Breakthrough Licensing. 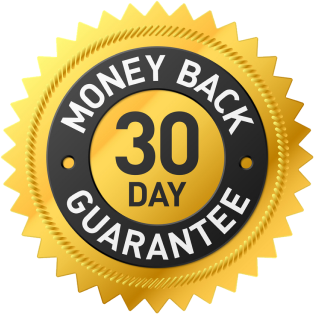 At $39.99 it’s a steal plus you get a 30-day money back guarantee. This occurs when a licensee acquires a brand and “slaps” the brand’s logo onto any newly developed product and does not immediately build the brand’s attributes into the product. Some licensees believe that putting a famous logo on any product will produce high sells, profits, and royalties for you and them both. However, this is not at all true. Consumers are intelligent and decipher when a newly developed product doesn’t work with the brand. When consumers ultimately do not buy these newly licensed products the equity in the brand erodes, which costs both parties resources and profit. Instead of logo slapping, licensees should custom design the brand’s attributes into the product. There are three more things you should do as a licensor to keep a manufacturer from logo slapping. Find out what they are in my licensing guide. Products may not be approved if the licensee doesn’t follow given specifications. This can be frustrating to the licensee and cause them to sell the unapproved products. Selling unapproved products can be very costly. For instance, lawsuits could be filed by many consumers against you and licensee if they cause harm or fail to meet a government standard. Many times this can occur due to a licensee’s lack of knowledge rather than an intentional act. Let’s be honest, the licensing contract is a boring document to read. However, it is necessary that the licensee is aware of the Approval Process. This is the reason why Step 7, Conducting Orientation, in my 8-Step Brand Licensing Process is a must. Orientation will give you the opportunity to explain to the licensee and their team the reasons why an Approval Process is needed, the steps in the Approval Process, and stress that an Approval Process must take place before a product is created and placed in the market. Even though a licensee might commit this act unintentionally, in no way should you condone this behavior. Licensees who are unaware of the terms of the contract usually make the mistake of selling in unauthorized channels. Often times what happens is the licensee encounters another licensee who is also selling in the same channel resulting in a significant amount of confusion in the marketplace. To prevent this activity from occurring you should incorporate stiff penalties in their licensing contracts, up to and including termination. Everything you and manufacturer agreed upon is drawn up into a written contract which explicitly states the regulations of the licensing program. Sometimes licensees decide to cut corners for one reason or another even though they know what the written contract states. Example: The brand owner calls the licensee up and says, “I want you to ship products to Argentina.” The licensee knows that the rights to ship products to Argentina are not in their contract, but they choose to do it anyhow because it was a verbal request from the brand owner. Weeks later the licensee is called in for a meeting with a person in the brand owner’s organization to be told, “The shipment that was sent to Argentina was not in your contract. You are going to be penalized for all the sales you made in that country.” Even though the licensee explained that the shipment was at the brand owner’s request it was not in the contract or in written form. Not following the written contract can put the licensee in a bad situation or have a devastating financial impact to the licensee depending on the loss of revenue or the amount of the penalties they are required to pay. Anytime a verbal request is made, the licensee should always make sure it is provided in writing before proceeding. They can achieve this by asking you to send an email confirming the request. So, word to the wise, follow the written contract! To Make Your Licensing Program Take Off! Brand licensing can build your Brand’s Equity because it provides a repeatable and scalable strategic platform for growth. When identifying “Where to Play”, the first question you should ask is, “What is the Essence Of The Brand?” In simpler terms what does this brand mean to you, others in your organization, customers, and consumers? Do consumers and customers find the brand differentiated and relevant compared to the competition? Currently, two types of Brand Extensions exist that will help the brand optimize growth and profits. The first Brand Extension is a “Line” Extensions. Coca-Cola, a favorite beverage of many, is a great illustration of a Line Extension. Coca-Cola’s Line Extensions include Diet Coke, Cherry Coke, Coke Zero, and a very unusual one called Clear Coke for the consumers in Japan. All of the Line Extensions listed are extensions of a single primary product which comes from the Coca-Cola brand. The extensions are variations of the core brand based on different formulations. They are then given a distinct position in the marketplace. The second extension is “Category” Extension also known as brand expansion. Category Extensions are typically seen in brand licensing because brand owners like yourself are contemplating different categories that are not core to the business. Therefore, third party manufacturers assist in your endeavor to get the brand into a particular category successfully. Product Extension Strategies: How did other brands figure out where to play? In my downloadable book, Breakthrough Licensing, A Disciplined Path To Profitable Brand Extensions I’ll show you detailed examples of how Mr. Clean and Steve Penley Art reinforced their Brand Positioning through different, complementary products. You must ask yourself what they did. For example, “Does the parent brand have positive associations in the consumers’ memory?” Understanding whether the brand association within the new category is positive or negative provides information that determines whether the brand has an opportunity for extension. If positive associations are linked to a brand, the likelihood of success in a new category is high. The positive association that moves the brand into the new category will now drive its own association that will be remembered by consumers. Does your brand have consumer permission to extend into a new category? Are consumers willing to see the brand extend into this particular category, and does the category make sense to the consumer? To answer this question market research must be conducted that will uncover what consumers are saying. Consumers are open to telling about their experience with the brand and whether or not an extension in this category strengthens the core brand. 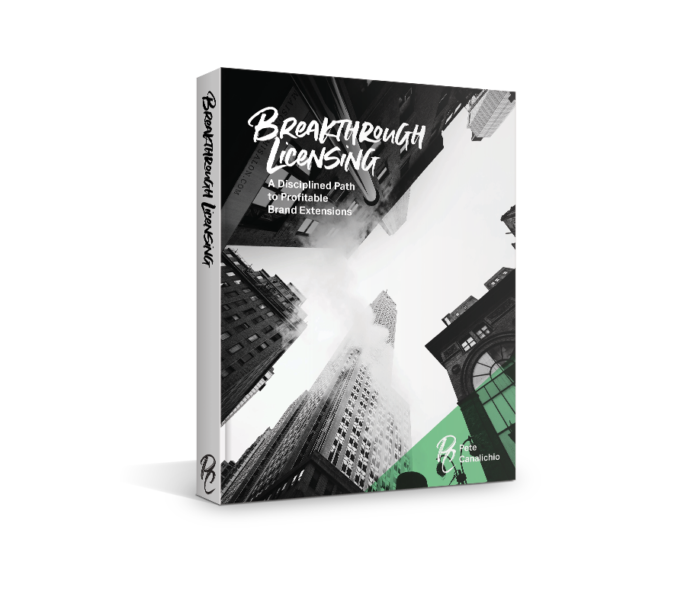 You can read about the second and third guidelines in my PDF download, Breakthrough Licensing, A Disciplined Path To Profitable Brand Extensions. Do we currently market and sell our own products? Will the new categories selected be sold in the same markets or channels? Are the current products and extensions complementary? Can they be packaged together? If the answers to all of these questions are “yes” then you can choose to market and sell the products yourself. However, you are not required to take this route. There may be several reasons why you would choose one course over another. 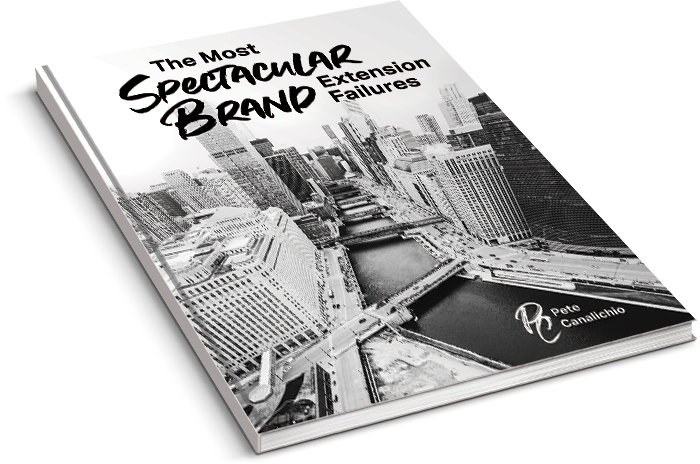 I go over all of them in Breakthrough Licensing, A Disciplined Path To Profitable Brand Extensions. Once a product category that qualifies for brand extension has been identified, and you, the licensor has chosen brand licensing as the preferred method to achieve this extension, then it is time to scout for prospective licensees within the selected product category. Selecting the most suitable licensee can be a daunting task for any licensor to accomplish, but don’t worry, help has come! In this section of my guide, you will learn how to cultivate a pool of qualified companies for further evaluation. To understand which licensees will help in accomplishing the brand licensing goal the licensor must first understand what makes a best-in-class licensee. Knowing what separates a lousy licensee from one that is best-in-class allows licensors to avoid choosing licensees that will not meet expectations and potentially diminish the brand. Best-in-class licensees are those who: Well, I’m running out of room here, so if you want to find out click here and read all about it. Is Your Brand Ready to Expand into New Categories? What’s the licensee’s leadership? Are they a category captain? Do they show financial consistency in the marketplace? Do they grow over time? Do they care about the insights that they are picking up and using those insights in product development? Do they invest in marketing? Whereas the Art Component is about understanding how the licensee fits with the organization. Is the chemistry the same? Do they believe the same things philosophically that the licensor believes? Are they a hungry company that is going to do things the right way and not get dragged down by challenges, but rather look at those challenges and opportunities to succeed. When both the Science and Art components conjoin and integrate the best-in-class licensee, a program is set up to be successful in the marketplace. Considering all these factors, how can one find the right prospects? Through four selection techniques: They’re all in my guide, and I go over them thoroughly. Continuous Improvement: Are the licensees interested in continuous improvement? Analyzing the licensees’ history of innovation provides an overview of where they started and where they’re going. If they have a track record of making refinements, filing patents and improving their products features and benefits, then that is a good indication of future success. There are 7 more parameters that I talk about in great detail. Read them here. Here we will rigorously qualify the prospective licensees to determine whether they will progress to the next phase. I’ll show you how to create an application form that encompasses every component that you would need to know about your prospective licensees. Evaluation areas you’ll see in-depth include financial, risk assessment, organizational competency and more. What channels are they in? What other licenses are held in the category? What is the product innovation capability? Based on the information provided I eliminated Prospect A first. Why? And how did I get to the two finalists and then the final selections? What criteria did I use? Find out here and see how you can use the same decision tree for your licensee search. Once the Due Diligence stage is completed, and a qualified licensee has been selected the brand owner must define the Licensing Opportunity. First, scope or size the Licensing Opportunity. You want to know how much revenue the opportunity will generate and how it will be derived, i.e. the metrics including regions, retailers and SKUs, so that when you define the Anchor Deal Terms you will be able to formalize the agreement. The desired outcome focuses on the Product Concepts, Initial Sales Forecast, the Licensees’ Strengths and Capabilities, and the Deal Parameters. How Will The Prospective Licensee Plan To Use Your Brand? You have taken intense measures and used a large number of resources to ensure that your brand is perceived the way you want. So, having a clear understanding of how the prospective licensee plans to use your brand is critical. After the “Due Diligence” phase has been completed, you are going to ask the prospective licensees to complete my Conservative Business Estimator form that consists of the prospects providing a three-year detailed forecast by region, channel, retailer, SKUs, and annual product innovation. This vitality is critical to the long-term success of their program and your brand in that particular category. The sales projections and viability are then compared across all the licensee candidates to see which is going to get chosen to become the licensee in that category. Once the Licensing Application and The Conservative Business Estimator are complete, you want the licensees to take all the information that they have compiled up to this point and propose a business plan that assumes that they have received the license. You want them to present the concepts in the channels and in the regions that they requested be stipulated in the license. You want them to tell you why they should earn your business and convince you that this is something that is important to you. Treat this concept review like you are the general manager for this particular category with this particular licensee. There is nothing like a case study to make concepts come alive. In Breakthrough Licensing, I’ll show you a step-by-step “dramatization” of how to choose the right licensee with an example from my days at Rubbermaid. In the case study, I’ll explain the elements the licensees must get right about Rubbermaid’s Brand Architecture, including the brand’s core value, product attributes, functional benefits, emotional benefits, and the brand essence or promise. Then I’ll explain each licensee’s prototypes, the strengths, and weaknesses of each licensee and how you should approach awarding the business using the concepts I’ve listed below, like the Conservative Business Estimator. I’ll give you the opportunity to make your own decision and then you compare it to mine. Negotiating a contract can often be overwhelming for you especially when trying to license your product to a manufacturer. This is especially true since every organization has different needs and goals to fulfill through the process. Since the value of the Deal Terms will be unique to every licensing contract, they must be negotiated between you, the licensor and the prospective licensee. In this part of my guide, you will have an opportunity to learn exactly how to negotiate a contract to create a “win-win” situation for both you and your licensee. You’ll get a complete education on deal terms–what they mean, what you should negotiate for and how to structure them. They even include industry norms and ranges. Well done! Negotiations have been made, and the contract has been signed. The execution of the contract signifies the beginning of the relationship. It is, therefore, the licensor’s responsibility to ensure that they provide the licensee with the information they need to be successful. With over 30 years in the business, I can tell you that conducting a formal orientation with a particular emphasis on the approval process is critical to the success of a long-lasting licensing program. Why? Because it takes a great deal of personnel from both the licensor and licensee side to know what that agreement means and how to execute it. The licensees are responsible for the most crucial asset of the licensor’s company, which is the brand. Therefore, you want to ensure that the brand is in good hands. You must know that the manufacturer has a deep understanding of the brand. As a brand owner, you also want to know that the manufacturer will build the attributes of the brand into their products, obtain the Approvals in the right way, and follow the guidelines. I recommend a Monthly Licensee Dashboard showing ties to the Annual Business Plan. It should be updated monthly and provide key information: budget, forecast, sales/royalties by retailer and product, and key dates. You can see an example of it here.